A colourful stack of ingot-shaped soap bars with three unique fragrances for men. Suitable for showers, baths, hands and bodies! The Ultimate Man-Sized Soap Stack for Real Men! The Bluebeards Revenge Soap Stack is a colourful scented soap set that is sure to bring luxurious suds to every shower or bath. This big bundle of ingot-shaped bars features three mouth-watering fragrances. 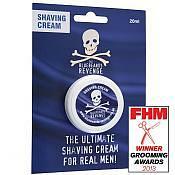 The Bluebeards Revenge Big Blue Bar of Soap for Blokes is chunky enough for even the manliest of hands. With a simple, fresh and masculine scent it will leave you smelling irresistible from head to toe. Are you sick of under-sized soaps and fussy scents that just don’t tickle your fancy? 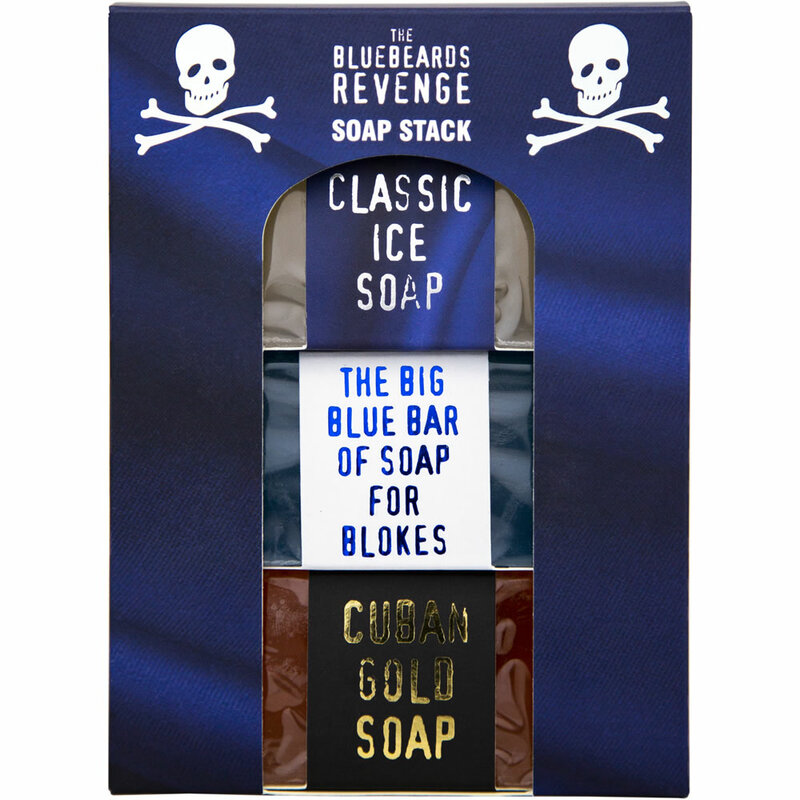 The Bluebeards Revenge Classic Ice Soap is chunky enough for even the manliest of hands. With our classic scent, which offers a modern twist on the traditional British barbershop fragrance, it’s a must for any man’s bathroom shelf. The world has gone to hell in a hand cart, the stock market has bombed, your currency is worth the square root of stuff all, and the machines are taking over the world! What on earth will you do? Turn to gold, of course! 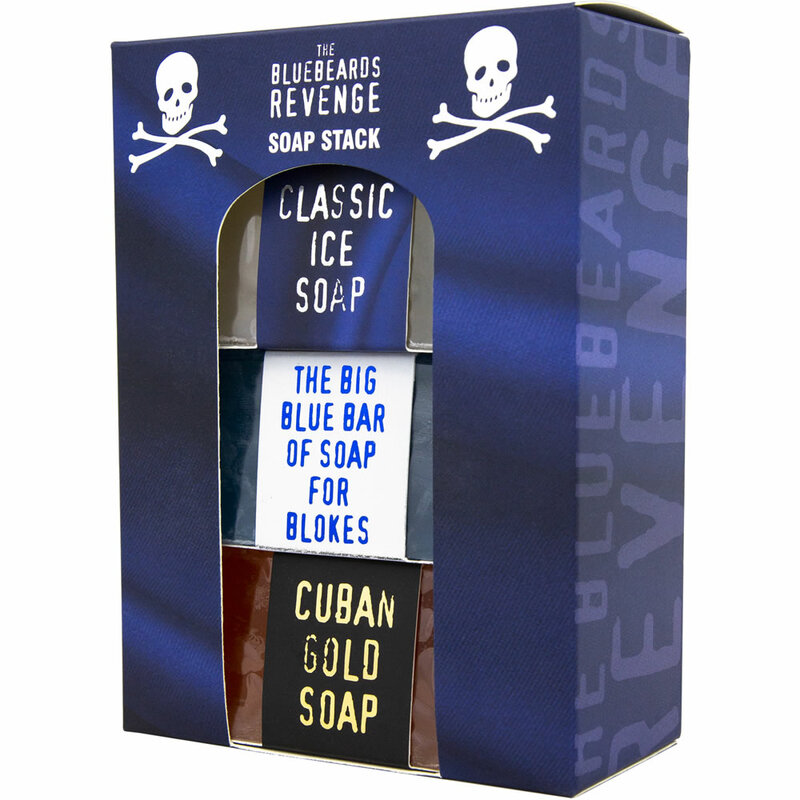 The Bluebeards Revenge Cuban Gold Soap is inspired by the rich aromas of exotic Caribbean oils, meaning it packs a powerfully fragrant punch. • Chunky, ingot-shape gives soaps a unique look that makes them easier to hold. • Colourful soaps and sturdy blue box makes for an appealing gift. • Helps to reinvigorate the body and rehydrate the skin. • Perfect addition to any wash/gym bag. • Suitable for showers, baths, hands and bodies. 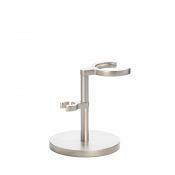 • Varied selection of fragrances leaves user smelling great. • Vegetarian and vegan friendly. Incredibly, the law says that we need to instruct you in the art of using soap, so here goes: Add water to create a fine lather, rub into body from head to toe, then rinse off… Simple!